The GS staff took a road trip to visit one of our best customers who runs a beautiful full service studio in Northern New Jersey. And to soak in all the studio vibes we could. Glenn Taylor’s Taylor-Made Productions audio recording, video post production sound studio was everything we expected and then some. It was SO well equipped and immaculately kept and organized. 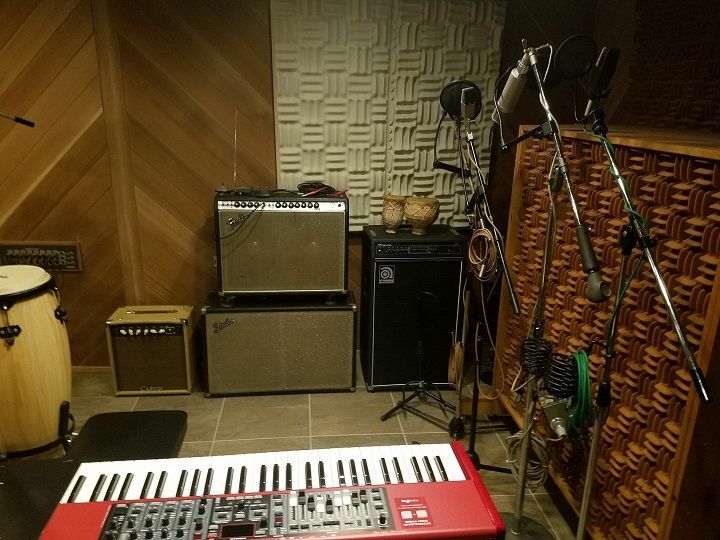 What once started out as a basement room in Passaic, NJ has evolved into a beautiful multi-room state-of-the-art studio in Caldwell, NJ with an impressive control room, live room, Iso booth, keyboard room and lounge. Well-equipped is an understatement. 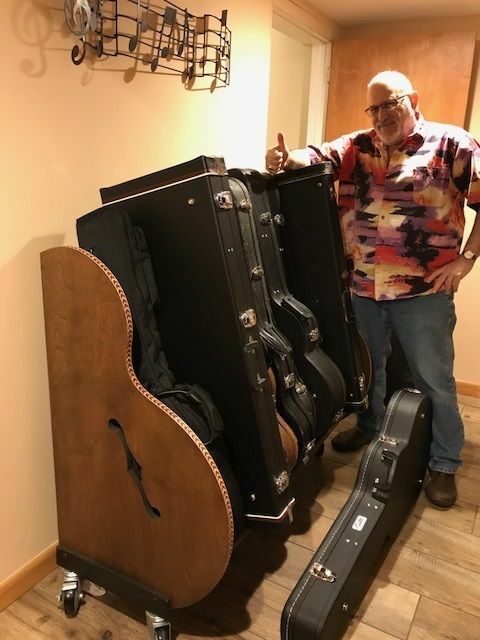 Glenn has procured around 70 guitars to provide just the right one for whatever tone you might need, including a 1970 mint-SG Standard, two early-70s Martins… a D-35 & D-28 12-string, a 90’s Fender Telecaster and a 1971 heavily-modified Black Strat… There are also quirky guitars, some of which he uses when performing with his band ‘The Kootz’ including several re-issue Airline guitars, like an H78 (an old Harmony 3-pickup, hollow body re-issue) and a ‘Bighorn-Green’, probably the funkiest-looking one. For all you pedal geeks, Glenn has a nice collection of Vintage pedals and stomp boxes like an Echoplex, Roland Chorus/Space Echo, Vox wah, Unifuzz, MuTron and Big Muff at your disposal. There are also Vintage Leslie Cabinets, and a host of keyboards. 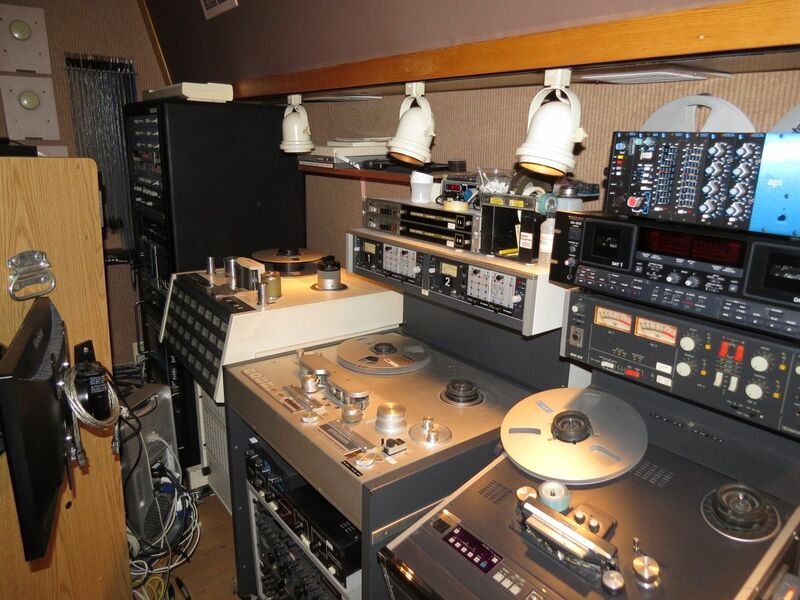 The recording equipment includes State-of-the-Art software as well as an amazing collection of analog recording tools like huge AMEK Media 51 Console with 88-inputs, an Otari 32-24 track 2-inch analog tape machine a Studer A-80 1/2 inch analog mastering deck and many others. He also has a healthy variety of mics to capture a multiplicity of sounds. Plaques and signed pictures on the wall show a history of working with artists and companies from all over the music spectrum. 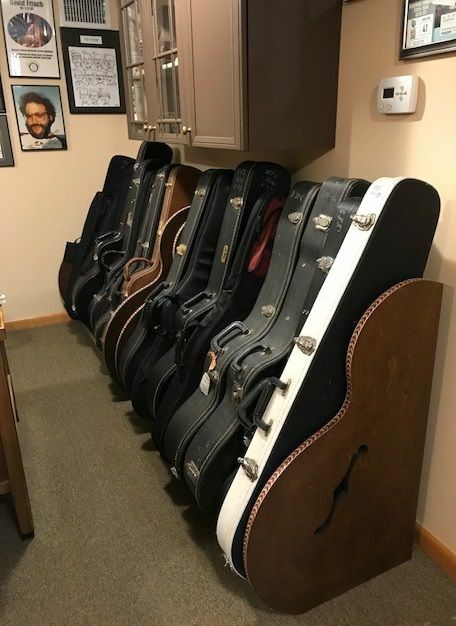 Just a few of his clients have included Tommy James, Glen Burtnick, Dolly Parton, Mickey Hart and Richie Furay. Glenn’s studio is so well-equipped that in order to get the full picture you’d have to go to his website taylormadeprod.com, to see it all, or better yet, give him a call to pay it a visit if you’re anywhere in driving distance of North Jersey. In fact you can follow the trail set in the opening scenes of the ‘Sopranos’ to find your way to the studio in Caldwell, NJ where Tony also lived. The best part of the studio, however, is Glenn. You couldn’t ask for a nicer, more dedicated and knowledgeable person to handle your music. He’s ‘all in’ no matter what the genre and he’s seen and done it all. We’re very proud that such a beautifully kept studio is using our products.